When you give instructions, better be sure to cover all perspectives! Back in the days when Singapore MRT stations’ train platforms did not have glass walls for safety, the automated announcement would ask people to “Please stand behind the yellow line” whenever a train is about to pull into the station? Today, with the glass walls erected, they’ve done away with the announcement, but the yellow lines remain. 9:03am. 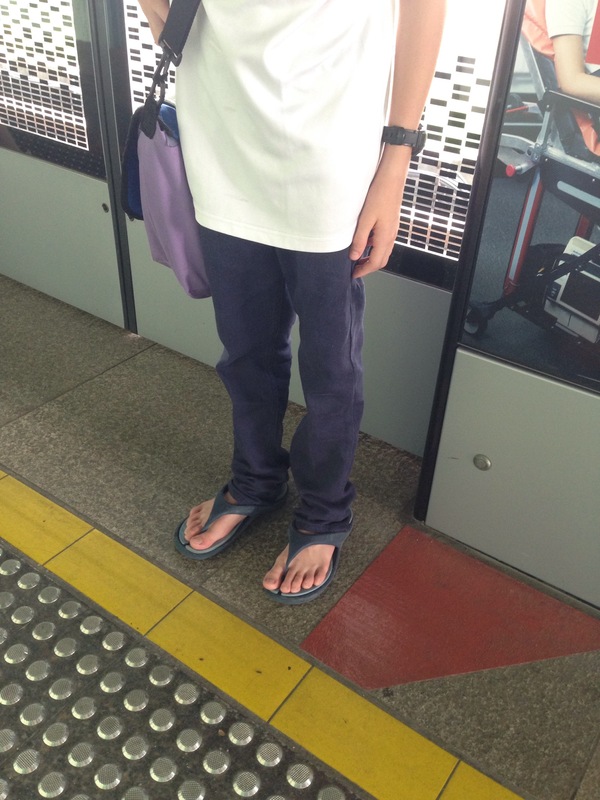 Buona Vista MRT Station. Waiting for train, taking A2 and A3 to a one-off Scuba Diving for Kids workshop. Blur mommy didn’t catch the drift. So, A3 repeated it several times, facing me with a serious look. For those who still don’t catch the drift … Which side of the yellow line is behind? 7:09pm. At a busstop near Queenstown Swimming Complex after A4’s swimming lesson and a subsequent play in the shallow pool(s). Impatient with the wait for a bus we could take. 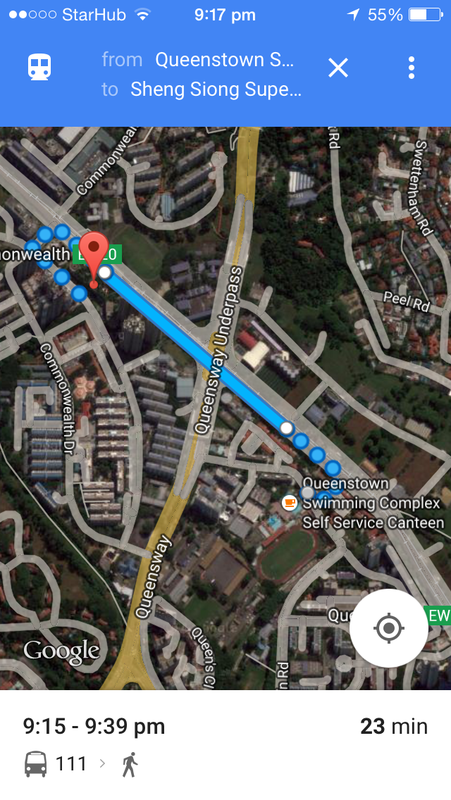 Verbalised my contemplation whether to take a bus or walk to Sheng Siong two busstops away to get ice-cream. Walking would be over a tiring distance, but would take only 8 minutes. Bus would give us aircon comfort, but it would take 11 minutes to arrive and then still need to make its way to our stop. I couldn’t decide which to take. To have said that, she would have had to process these concepts: 8 minutes versus 11; we could possibly end up walking slower; walking slow would extend 8 minutes to more, possibly exceeding 11 minutes; and if that were so, we would be better off doing the longer wait for the bus. Her mind registered and worked out numbers, and facts of life, very fast. And for her age too! A long-lost Aussie friend living in the UK is back on Skype! JR had contacted me a day or so ago and I had replied, not in real-time. This evening, she caught me online! After asking if it was a good time to call me on Skype, we finally got talking (Later that night or night after, S commented that both sides of our conversation sounded contrived. S knew it’s cos I was, as always, awkward on calls over the Internet. It makes me clam up, especially if the video is turned on. This time it wasn’t, but I was still awkward). The last time we met up, I was still a teen! Although we did correspond intermittently for a few more years after that. After the call ended, A4 asked me who I was talking to. I explained it was my old Aussie friend who lives in England. I added the fact that she is a vet. A4, in incredulous tone: Huh? If she is an animal doctor, how can she talk?! A4 and A3 just finished their respectively K2 and P3 Chinese Speech and Drama classes. We were walking to the town central to catch our train ride home, with plans for a detour to a pet store and a bookstore along the way. A3 figured it out, what A4 meant! I was impressed! “Bangla” was a word A4 had heard her older siblings use before. They had all been corrected then. In her still-growing vocabulary bank, A4 must have thought the word was applicable in this instance. After all, both words sound alike. But now that she was being corrected, she wanted to know why the word was rude. I put it simply.